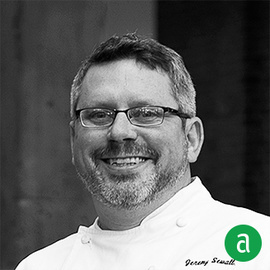 Jeremy Sewall, Chef and Partner at Island Creek Oyster Bar, Row 34 and Lineage Restaurant in Boston, shares his career timeline and advice for up-and-coming professionals. Leading by example, working hard and admitting when you are wrong is how I keep my staff inspired and motivated. I want my team to understand that running a kitchen is a collaborative effort. I can't do my job without my staff. It takes an army. It is never about 1 person, it is everyone working together to collectively accomplish one goal. Humility will take you further than any other personality trait. Stay grounded. I believe it is important for up and coming professionals to read older cookbooks to have an understanding of culinary evolutions and origination. If you don't understand what has happened, you can't be apart of what is going to happen.